If you want to relax and recharge your batteries, Thorhild County awaits your discovery. A drive through the County will reveal 7 unique hamlets, old churches, homesteads, diversified farms and unique businesses and operations. Be sure to visit the Thorhild Museum in the Hamlet of Thorhild, which displays many fine antiques and mementos from the past. The Hamlet of Newbrook is known for the former Newbrook Observatory, which captured the first North American photograph of the world’s first satellite, Sputnik No.1 on October 9, 1957. The Radway and Area Historical Archives Association is restoring the Krause Grain Elevator in the Hamlet of Radway to its 1929 glory. Book a tour and also see the antique 1928 International one-ton truck and an antique Hart-Parr tractor, both in working order. Call (780) 736-3542. If you like rustic trails, swimming and relaxing on the beach, as well as a scenic little campground, you’ll love the Half Moon Lake Park Natural Area. Call (780) 675-8213 for details. Check out Long Lake Provincial Park for a variety of wildlife habitats, popular swimming beach, boat rentals and family camping destination. A nine-hole golf course features antique machinery. 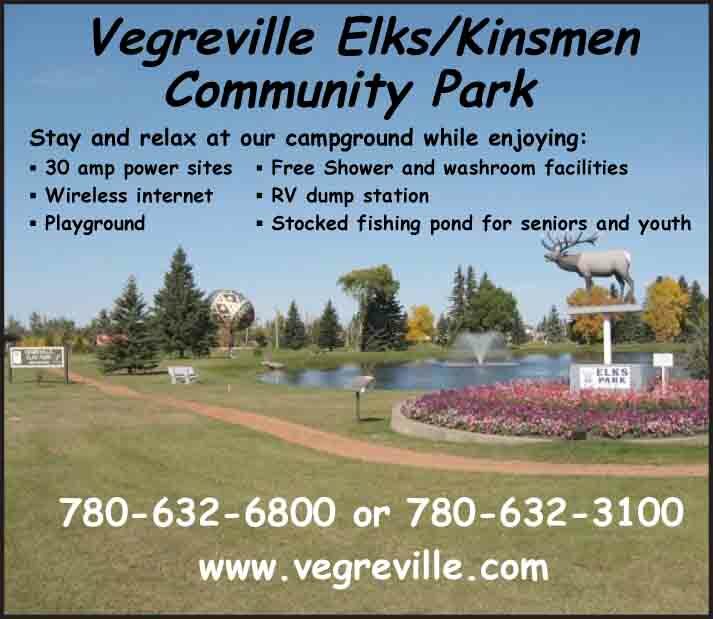 A nearby RV park, trail rides and a paintball park are open all summer. Phone (780) 576-3959. Long Lake Ski Area is open December to April for snowboarding and downhill skiing on 12 runs, cross country skiing, tobogganing and much more. You will also find a rental and repair shop, private or group lessons and a cozy cafeteria. Visit SkiLongLake.com or call (866) 576-2161 for details. Directly south of Long Lake, White Earth Valley Natural Area is a 5000-acre naturalist’s gem for hiking, mountain biking and trail riding in summer, or snowmobiling and Nordic skiing in winter. Contact (780) 961-3308. If it is a scenic drive you are seeking, the Historic Victoria Trail along the North Saskatchewan River will take you on a journey back through history. If fishing is your fancy or you want to take the family for a picnic, you are welcome at the Radway Fish Pond where tables, benches and facilities are available. The Hamlet of Thorhild offers an outdoor swimming pool, tennis courts and ball diamonds right next to the Thorhild Centennial Park Campground. Take in the Egremont Days Parade in June; the Thorhild Stampede at the beginning of July; in Radway the Grand North American Old Time Fiddle Championship is in mid-July and the following week enjoy PolkaFest; Newbrook County Fair in August.